When it comes to the powerful exterior off-road lighting you really have plenty of different choices. 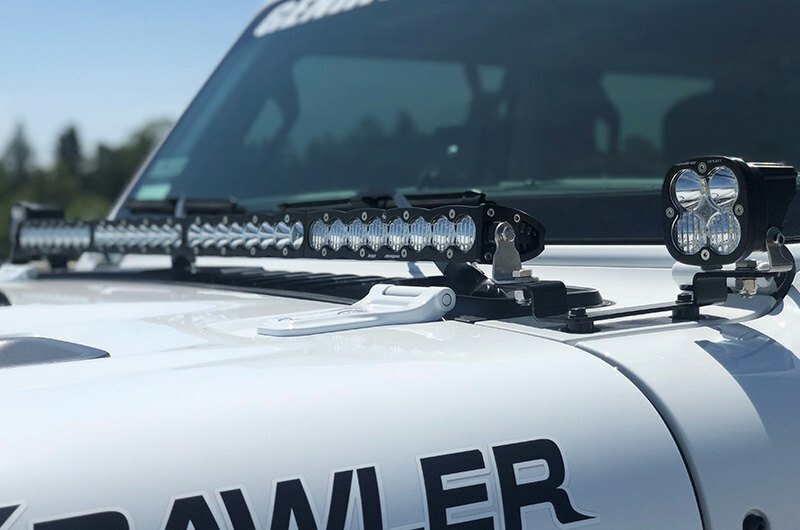 Our freshly released Hood Mounted OnX6™ and squadron sport 40" 252W driving/combo beam LED light bar kit by Baja Designs occupied a well-deserved place among the best lighting options available for JL Wrangler. It is designed to provide you with much more power needed to illuminate even the darkest off-road trails. 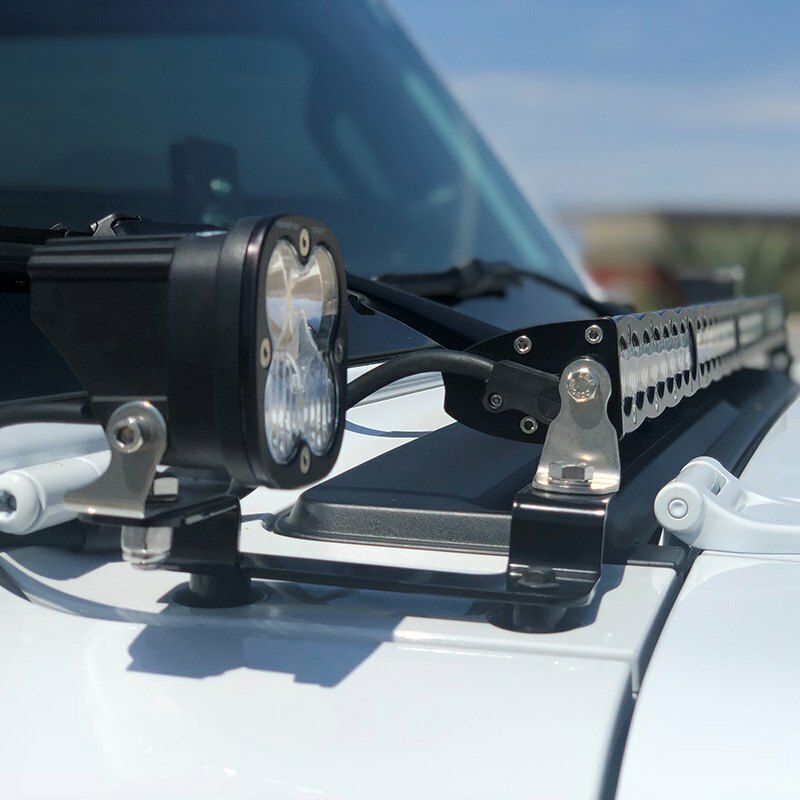 Baja Designs products are made in-house from aircraft grade aluminum with mil-spec hard anodized and equipped with hard-coated polycarbonate lens for maximum durability, reliability, and bold light output. 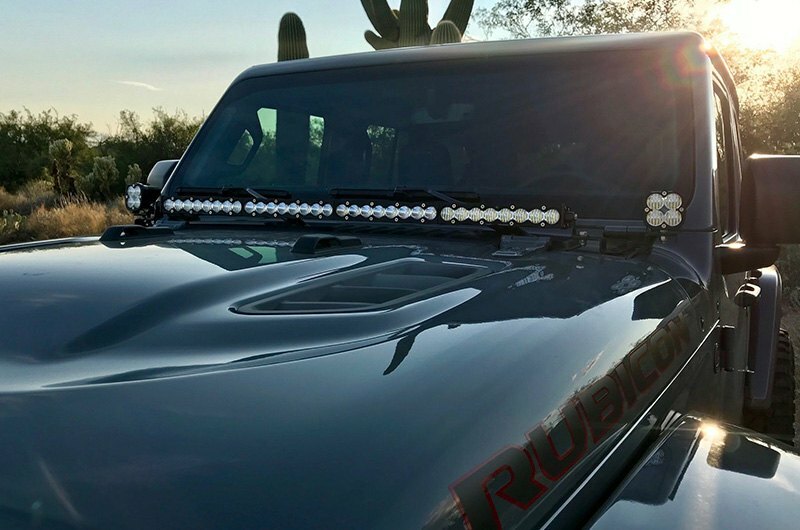 Each LED Light Bar Kit by Baja Designs is guaranteed to last a lifetime and perform great. Thanks to the special engineering technology OnX6 Hi-Power combines two of Baja Designs premium LED types in one light bar, which allows it to illuminate not only the road in front of you but also around the corners. Game-changing lighting products developed by Baja Designs will not let you down!